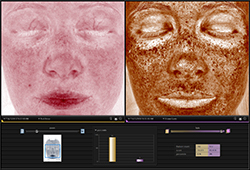 VISIA’s multi-point positioning system and live image overlay make it easy to capture perfectly registered images to document progress over time. VISIA easily captures and automatically analyzes left, right and frontal facial views. 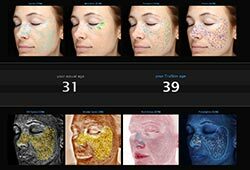 Personalized, easy to understand customized reports for facial rejuvenation treatment and ongoing skin care.